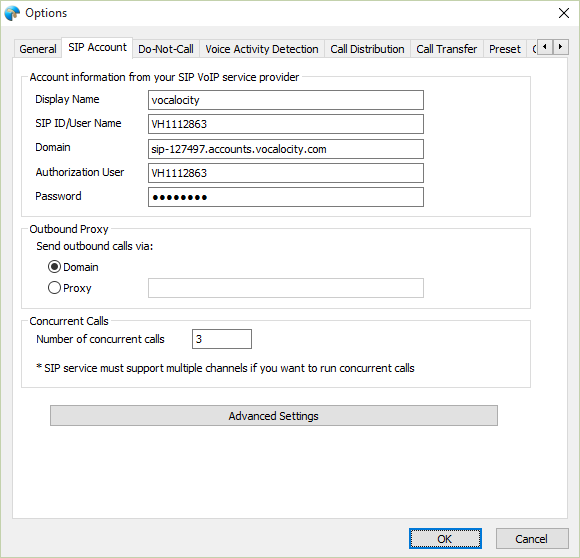 VOIP Predictive Dialing–No need for physical phone lines, Dialogic board or voice modem. Calls are made through Internet VoIP. 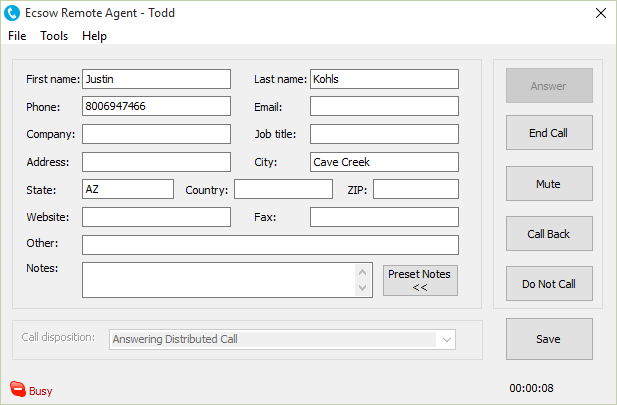 Remote Agent–Agent can work at home or office. Calls are forwarded to agent’s computer over the internet or local area network. 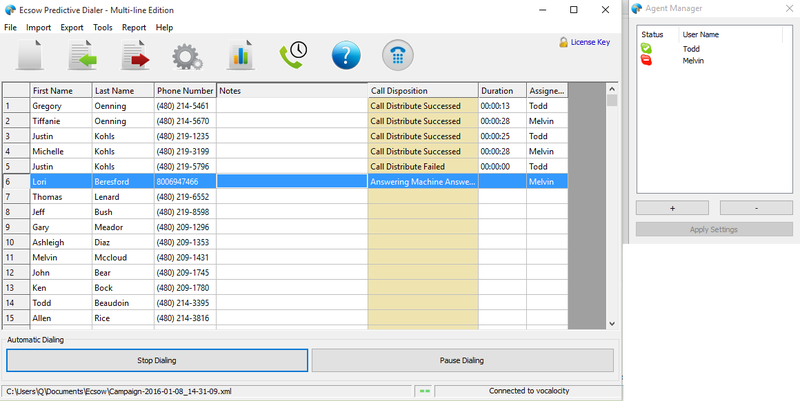 Download Ecsow Predictive Dialer software and follow on-screen instructions to install Predictive Dialer on a computer. Ecsow software can use several phone services: VOIP phone service (such as SkypeConnect, Vonage, Callcentric, any SIP trunk provider, etc); a PBX system with SIP extensions (such as Cisco, Avaya, Asterisk, etc). Click Ecsow menu Tools > Options > SIP Account tab to input your SIP account information. It will show connected to the SIP service on Ecsow main window. 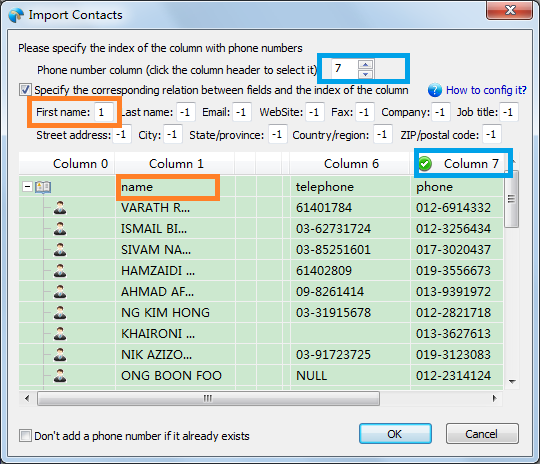 Import call list by click Ecsow menu Import > Import CSV File. You will need to specify which of your columns from your call list will be placed on Predictive Dialer’s “Name” and “Phone Number” columns. Click the Start Dialing button to start the predictive dialing. Please note you need to specify 1 for US phone number, where 1 is the country code. You can set this at Ecsow menu Tools > Options > General tab.